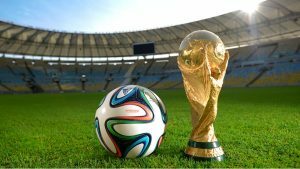 Properly referred to as the FIFA World Cup, this is one of the most exciting and most attended sporting events not only for the UK, but for many other parts of the world. For those who are new to it, it’s all about the beloved sport of football. It dates back all the way to 1930 and every four years since then, it has been a much-anticipated event. The only exception to this was during the war from 1942 to 1946. Naturally, every country that participates wants the honour of being able to say they are the World Cup Champions. Currently, to know who the last winner was, means going back to 2014 when the tournament was held in Brazil, and Germany came out as the victors. Even though this is a tournament that only runs every four years, it doesn’t mean that those that are going to participate put the activity on the sidelines. The three years preceding the year of the event are spent on qualifying. Spectators are able to enjoy the game play throughout these three years so they can follow their teams along to encourage them so they can qualify. When you hear an avid sports fan being excited about the World Cup finals, this is why. In all, there are 20 world cup tournaments. For those following the World Cup calendar, they are well aware that 2018 is going to be a World Cup year, and Russia will be the host city for the event. If you have plans of physically making a presence as a spectator at the game, then you will be required to obtain a Fan ID. This is a requirement that Russia has implemented. You can obtain it once you have paid for your tickets and this has been confirmed.